I try to add the Supplier SKU to the products. That works, but when I hit the save button, the page seems to update but the entered SKU's still remain "red" and did not save to the product. I only managed to add the Supplier SKU to 2 products. It does save other items I enter such as the Purchase price for example. 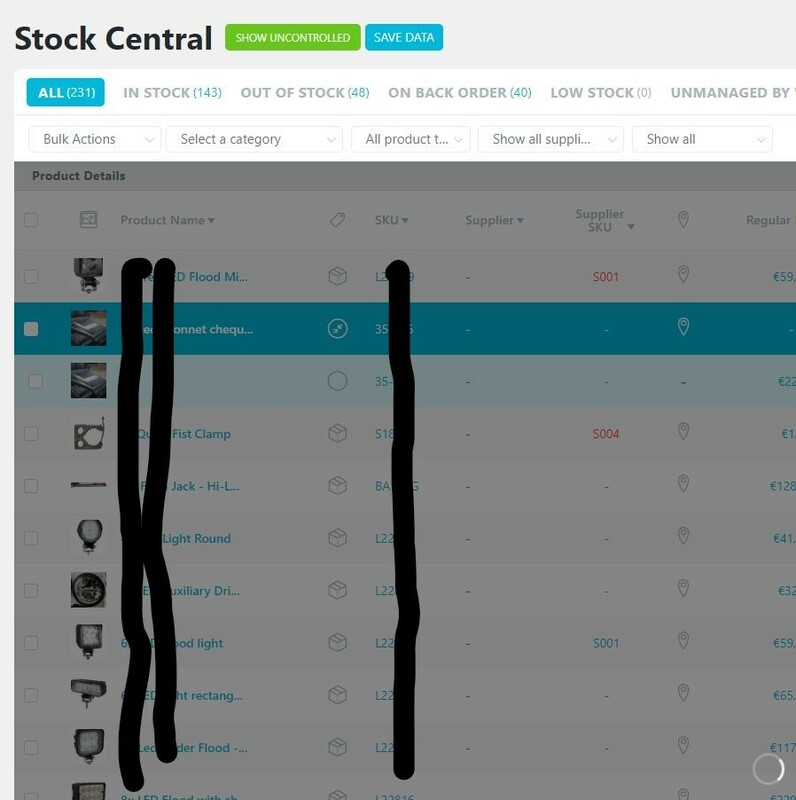 I can add the Supplier at the product page itself, but it then does not supply the correct SKU in the stock central feature. I am not sure what goes wrong. Could you help? Thank you very much for your post. Sorry to hear about your issue. Would you tell me the version of PHP, ATUM, WP and WC you are using, pls? Can you upload the PHP error log, pls? 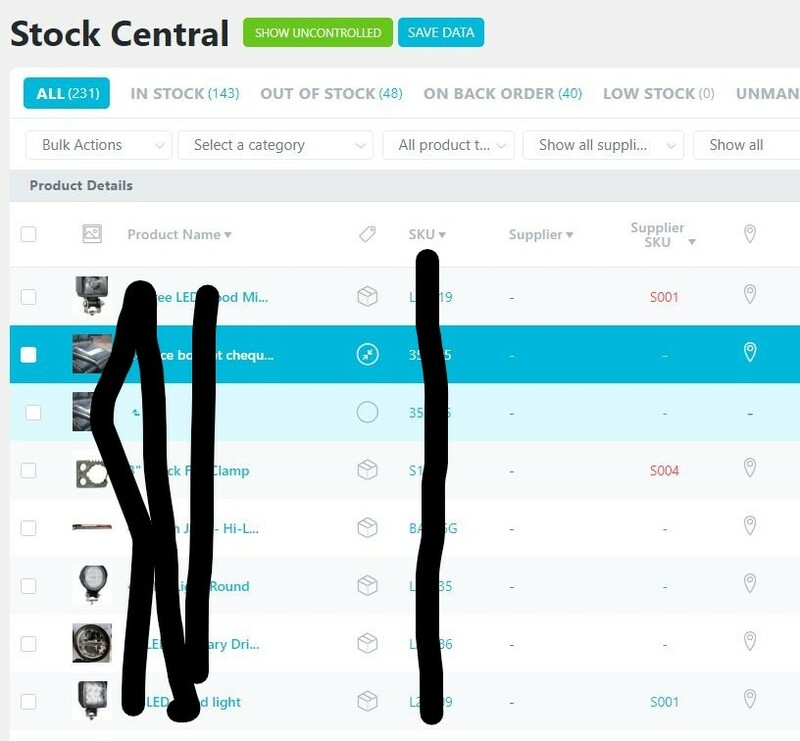 Pls, screenshot the console errors that appear on Stock Central, if any. It does show in the Woocommerce - Status - Active plugins tabel that ATUM = "Not tested with the active version of WooCommerce"
Could there be some sort of issue? Sorry, couldn't upload it separately, so added it to this post, the LOG Fatal errors. It seems to us that you have some duplicated SKUs. It is not allowed in ATUM. You need to find the product where these already exist and change them. I changed all of the SKU's of the suppliers to unique supplier only sku's, No numbers just unique ones for each supplier. It did update the same SKU that was already "blue", but I still couldn't add new ones. All stayed red after I hit the Save button. Should I sent another "fatal errors report? Thank you for the prompt replies! Thank you very much for your reply and try. Please, open a private ticket and leave me some credentials so I can have a look.